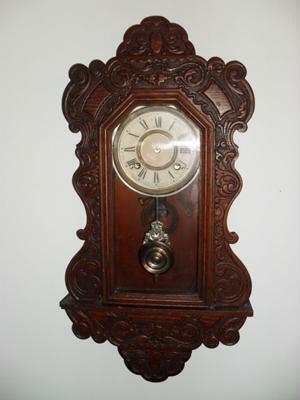 This is my great-grandfather´s clock. I recently received it as an inheritence, so I would like to know the date of manufacture and an estimated value (I do not want to sell it, just to know). It says "manufactured by the Ansonia Clock Co., New York. There is no label or number of any kind. I appreciate any information you can help me with, thanks.